【Editor’s note】Spring Festival, or Chinese Lunar New Year, is the most important occasion for family reunion. In southwest China’s Yunnan province, on the table of that dinner, Baoshan people love to have a bowl of fire-roasted pork; Kunming locals like to have a dish of stewed vegetables; Lijiang citizens will certainly go for a Naxi style hotpot; while people in Dali will have specially-made raw hogskin and cold fish jelly to celebrate the family reunion night... the mouth-watering flavor of the food bears more meanings than the delicious meal itself. Zhao Huaying, from Xinzhai Village in west Yunnan’s Baoshan City, prepares the dishes for the reunion dinner on Spring Festival Eve several days in advance. And the fire-roasted pork is a must-have dish on the dinning table. Zhao made a fire at the backyard and put a handful of straw by the side of the fire. As the straw caught fire, it sent out a crackling sound. 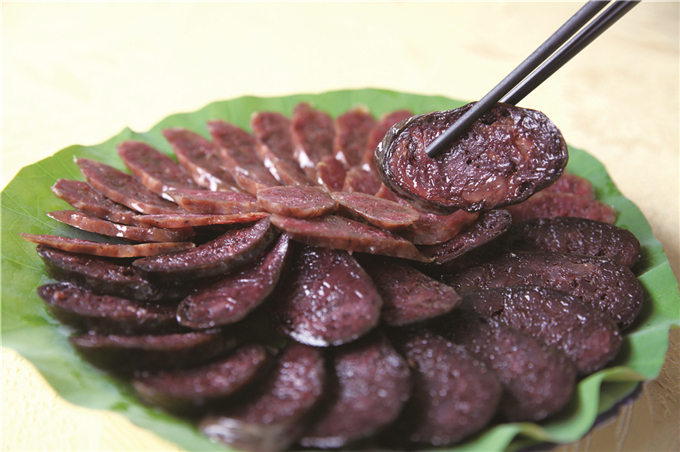 Zhao burned the boar’s hair gradually and shaved the burnt skin quickly with a knife. She put the pork onto the grill and roasted it slowly after making sure that all the hair was gone. 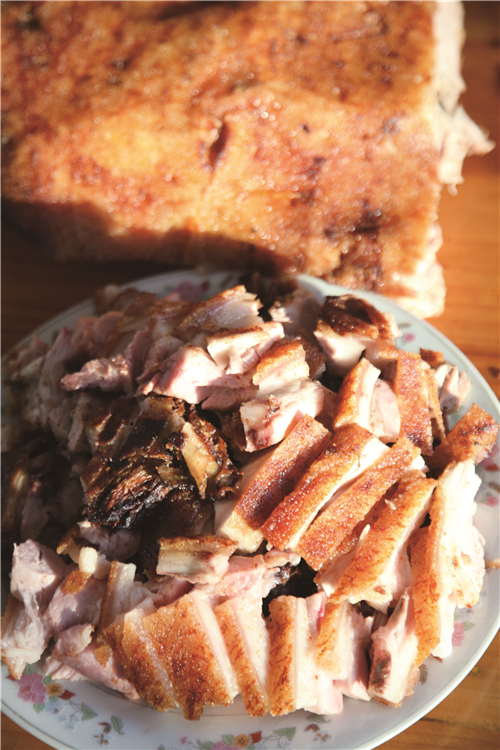 During the four-hour roasting, Zhao never left the fire and turned the pork over from time to time to make sure it was evenly heated.